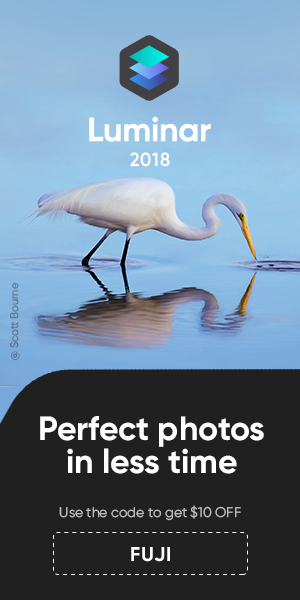 The deadline is June. 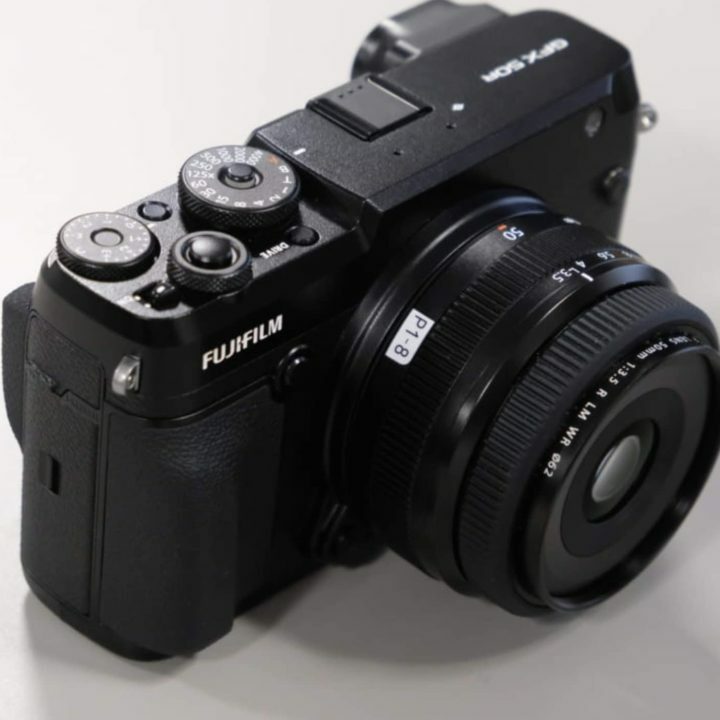 Since then, the Fujifilm GFX100 must hit the stores. 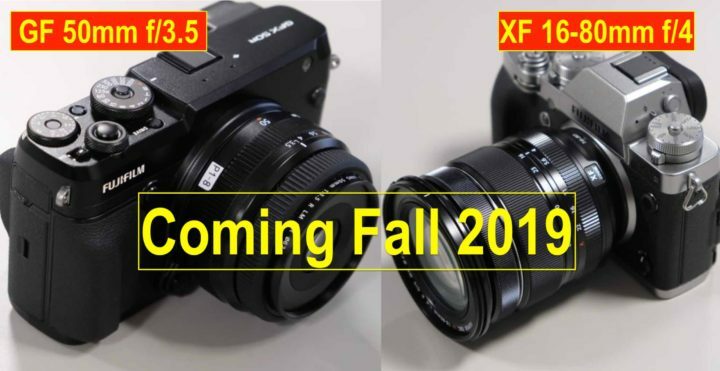 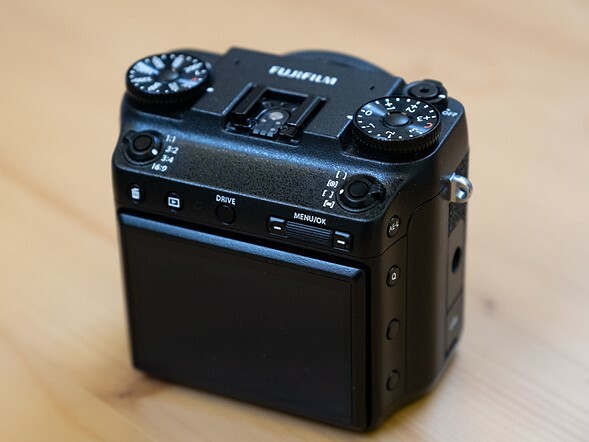 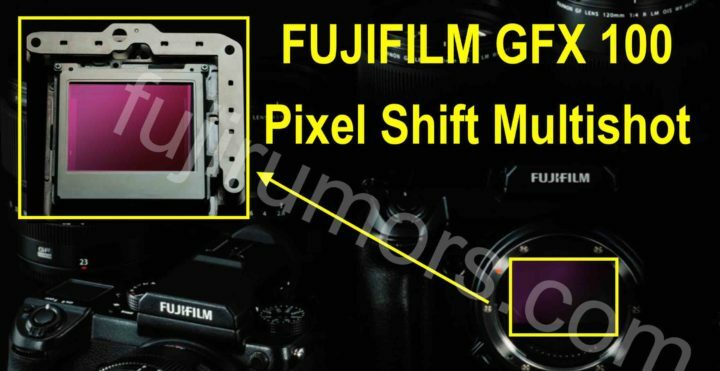 Currently Fujifilm is working hard on the firmware and I asked the source, who told us in October 2018, that Fujifilm wants to implement pixel shift multishot in the Fujifilm GFX100, at which stage the development of the pixel shift mutlishot is. 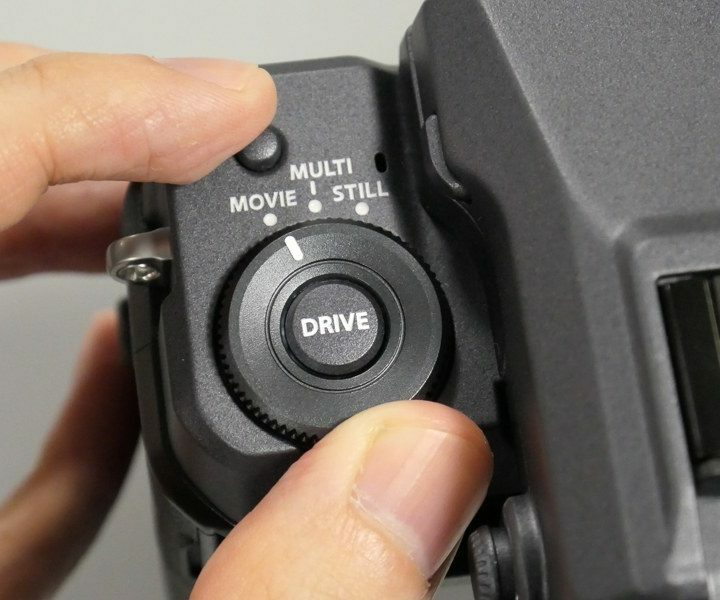 With pixel shift multishot the camera shoots several images while shifting the image sensor and combines them to generate images with a higher resolution than is possible with regular shooting. 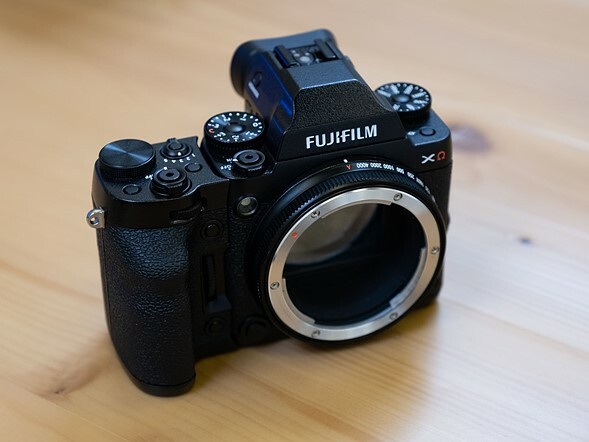 That GFX50R with GF50mmF3.5 is a serious GAS trigger for me ;). 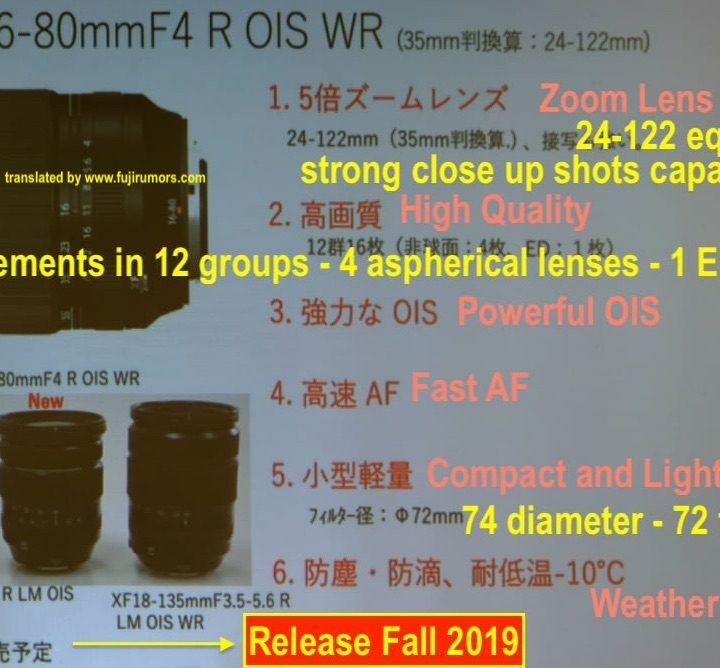 All the images shared below (and more) can be found at the Japanese sites dc.watch and sankei. 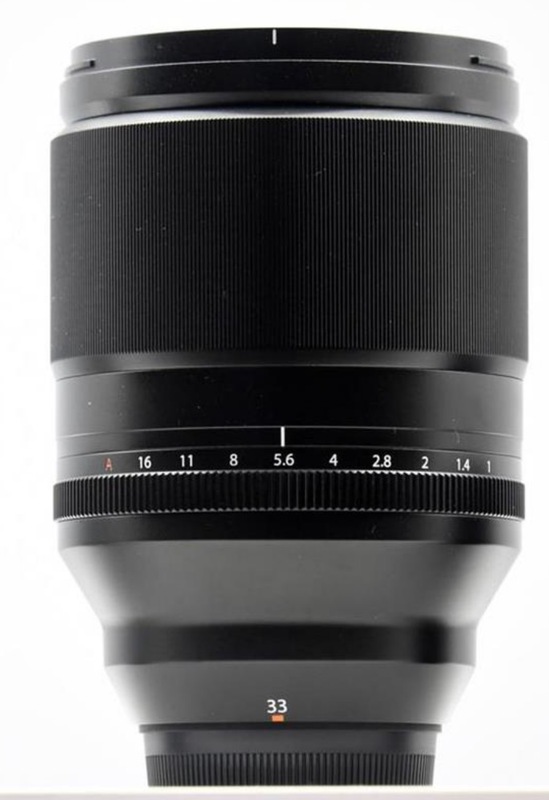 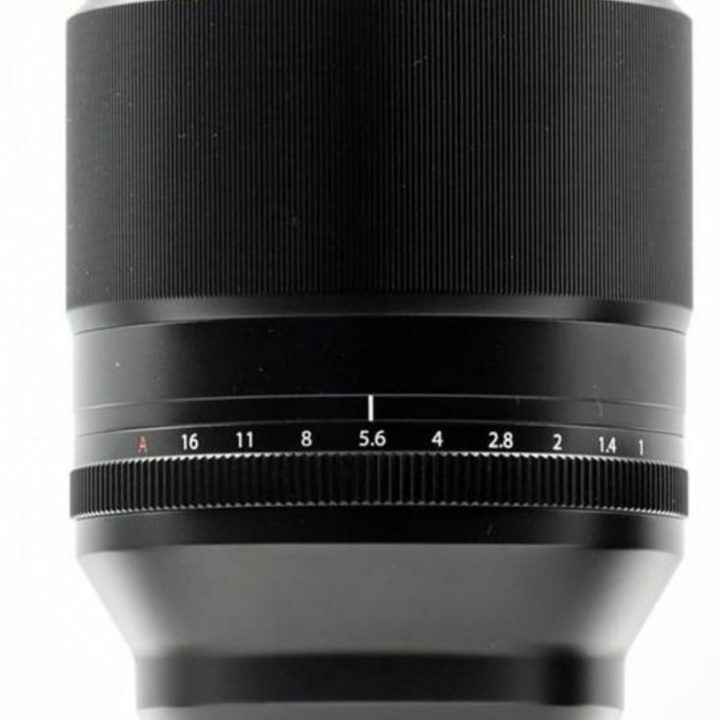 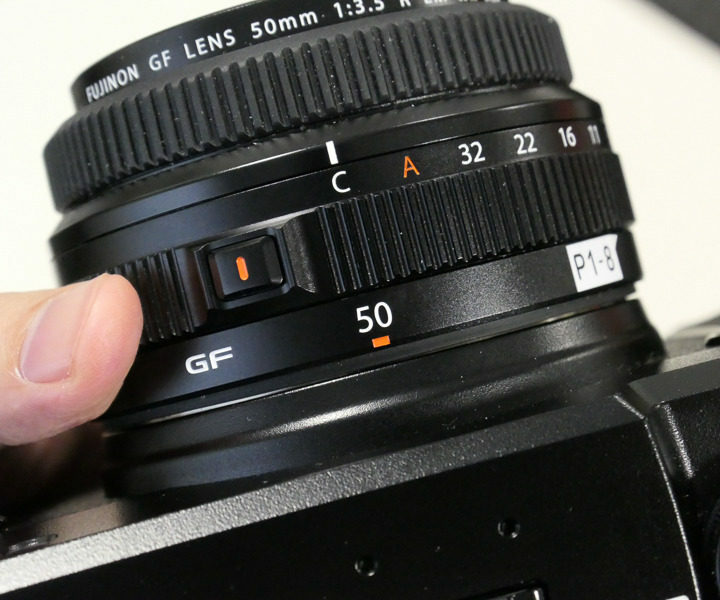 Those perfect travel lenses come to late for our summer trips. 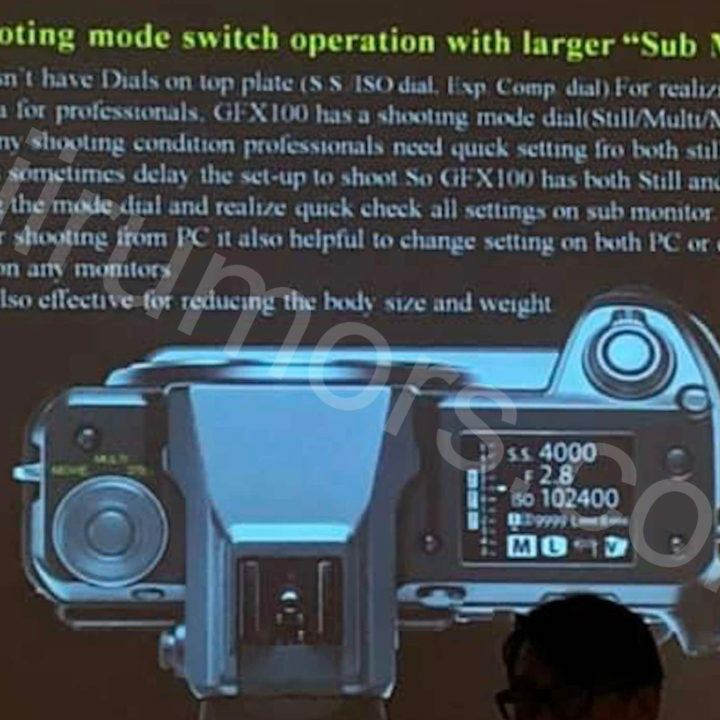 Digested this bad news? 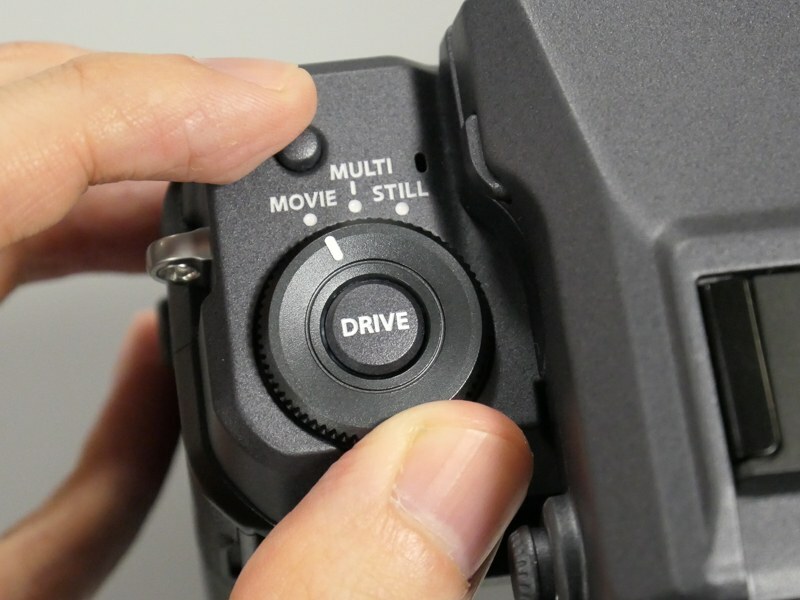 Then let’s move on! 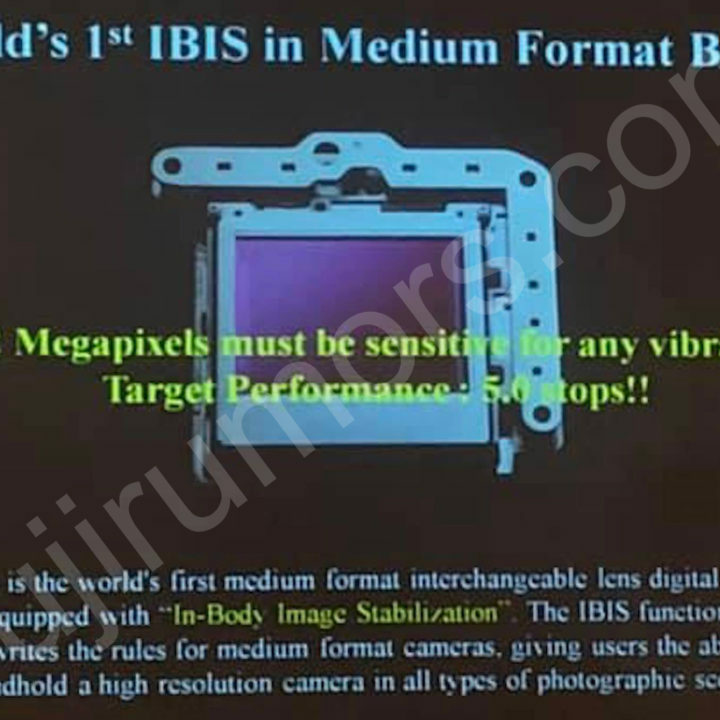 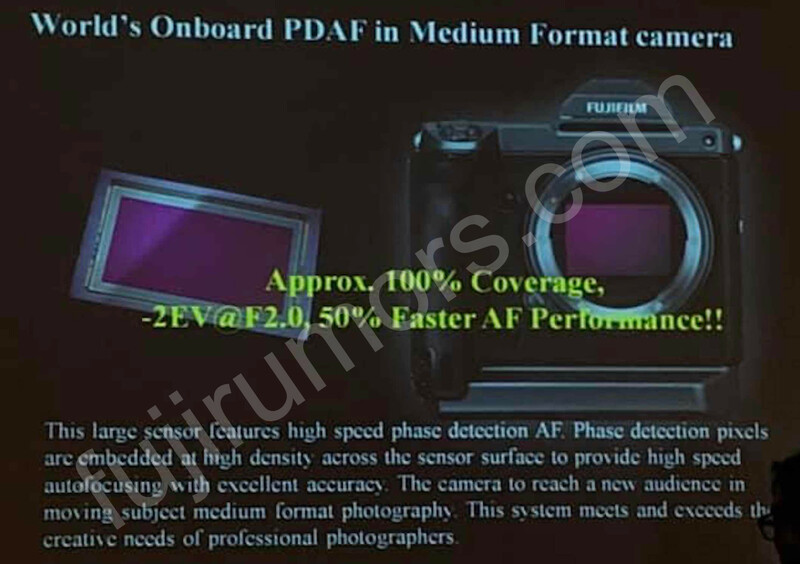 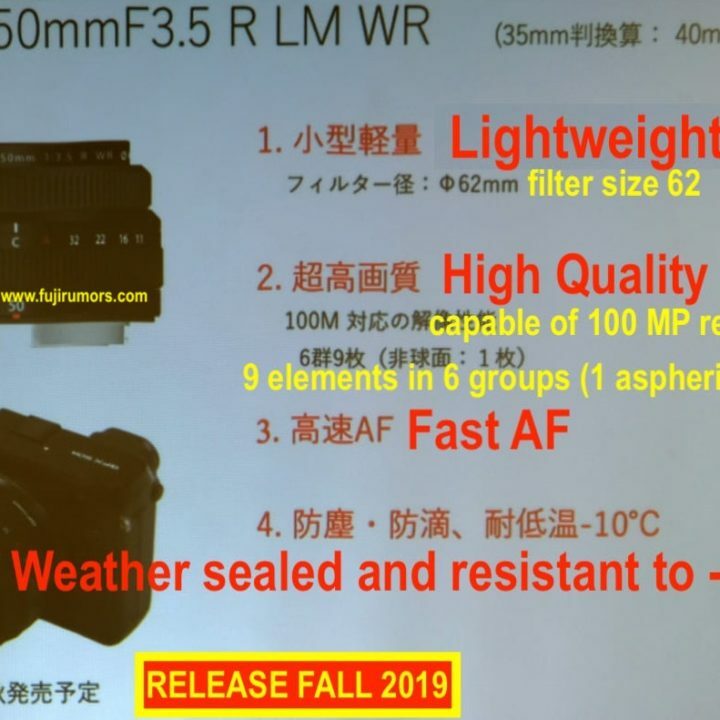 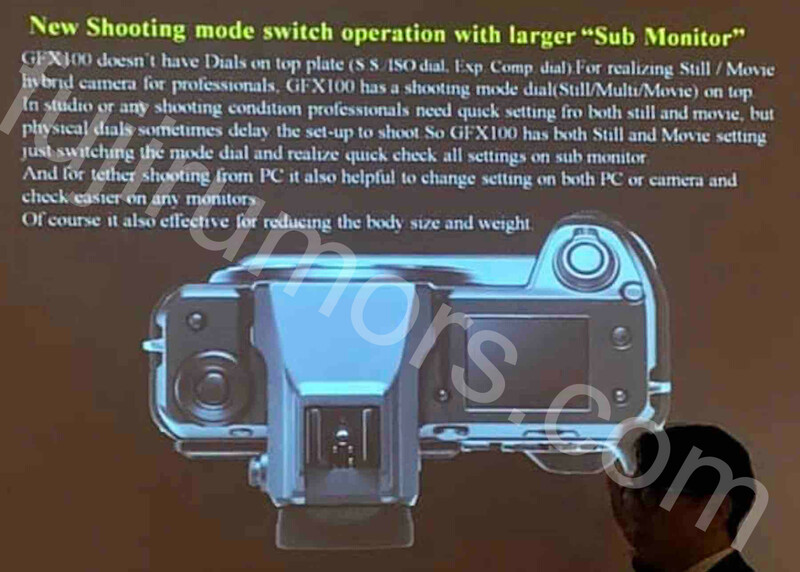 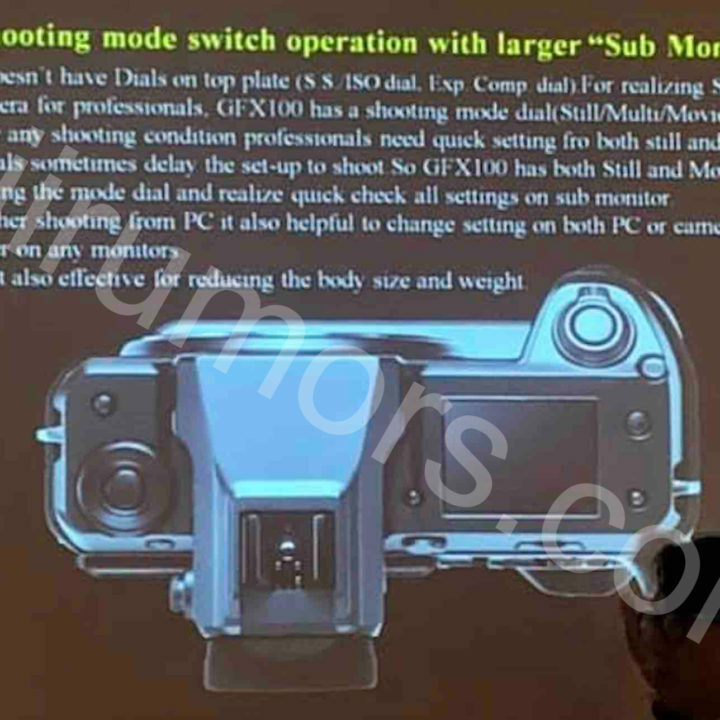 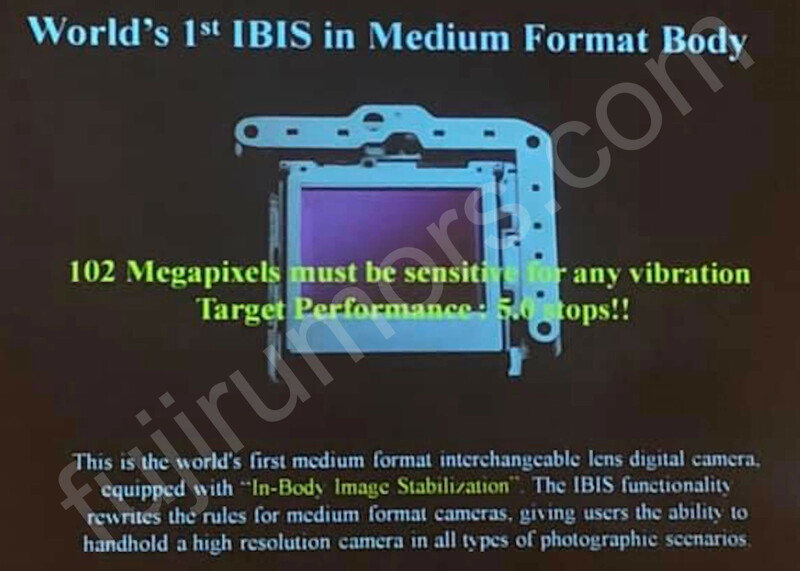 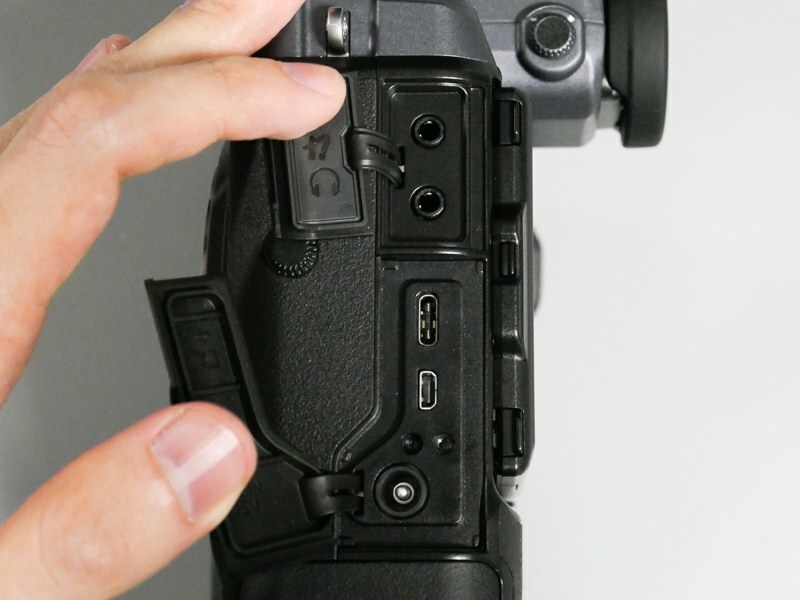 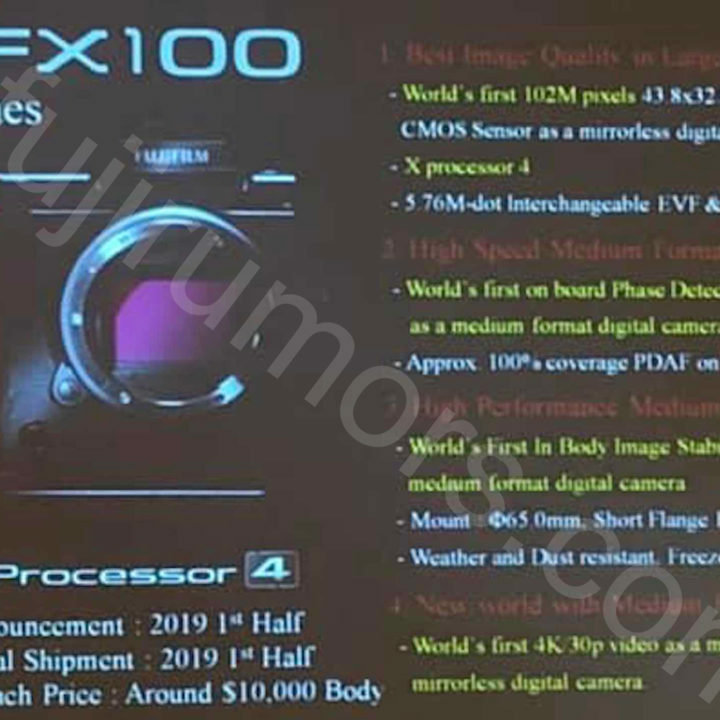 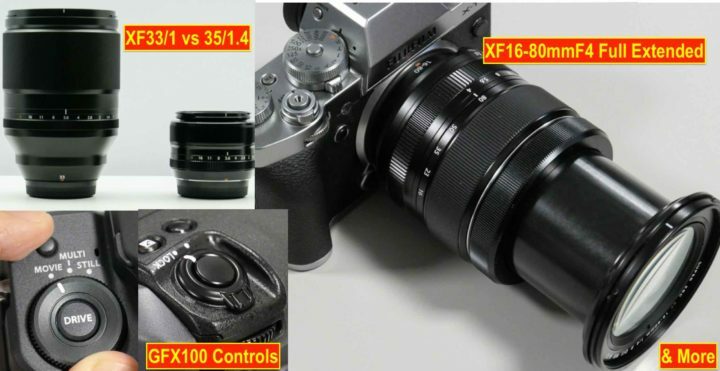 The Japanese site also shared Fujifilm GFX100 images and media slides (in Japanese), but don’t worry, FujiRumors has already leaked them all (and even more in detail) a few weeks ago in this article. 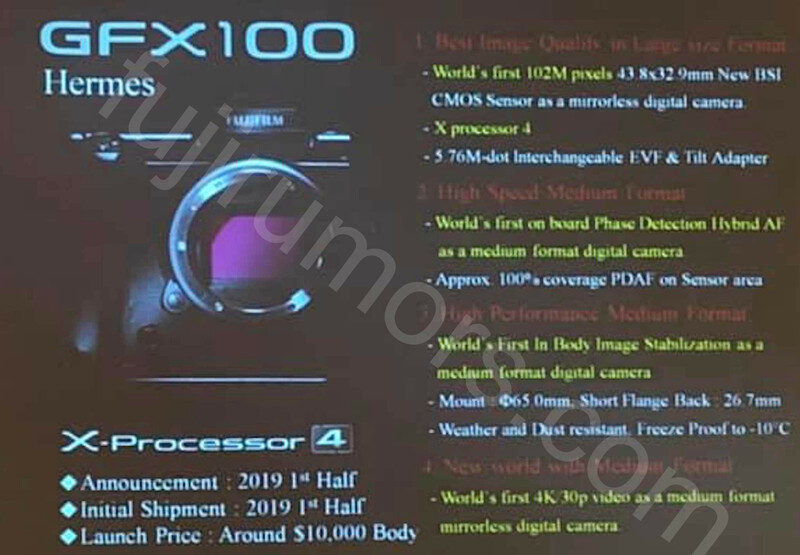 I did translate all the Japanese slides, and there is nothing that we do not know already about the Fujifilm GFX100.. For additional GFX 100 images you can also check out the Polish site optyczne. 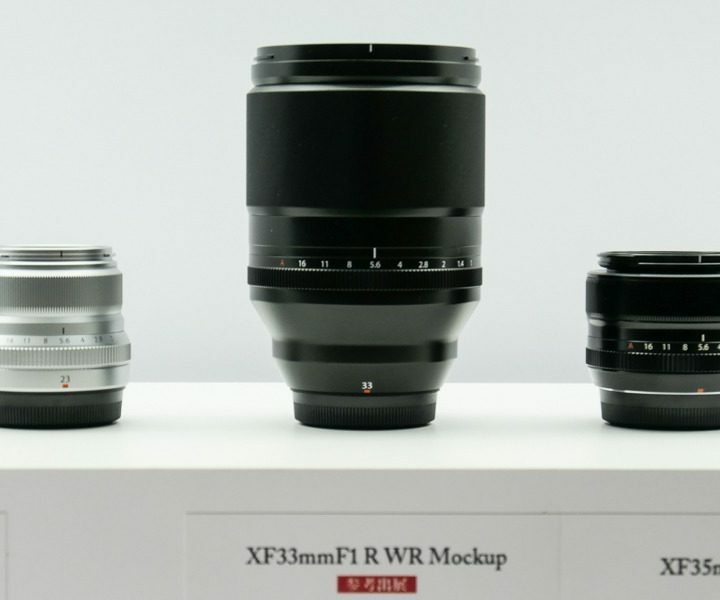 What I will translate for you, though, are the media slides of the lenses. 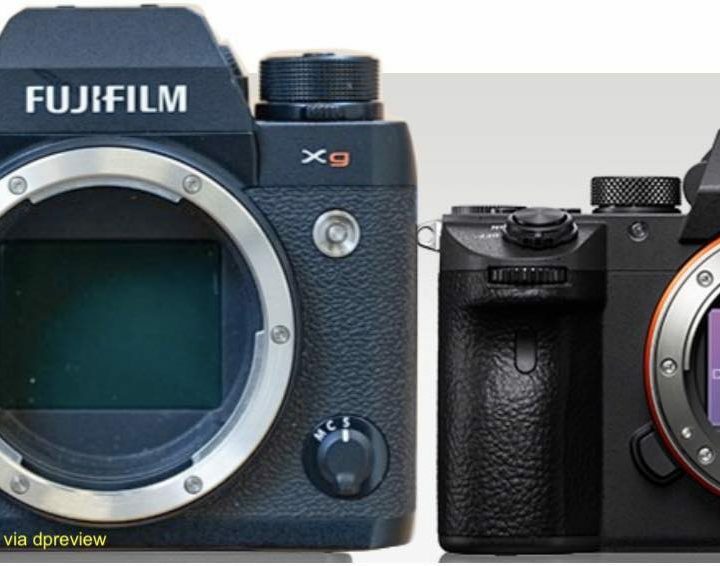 Fujifilm has recently shown a couple of early Fujifilm GFX concepts. 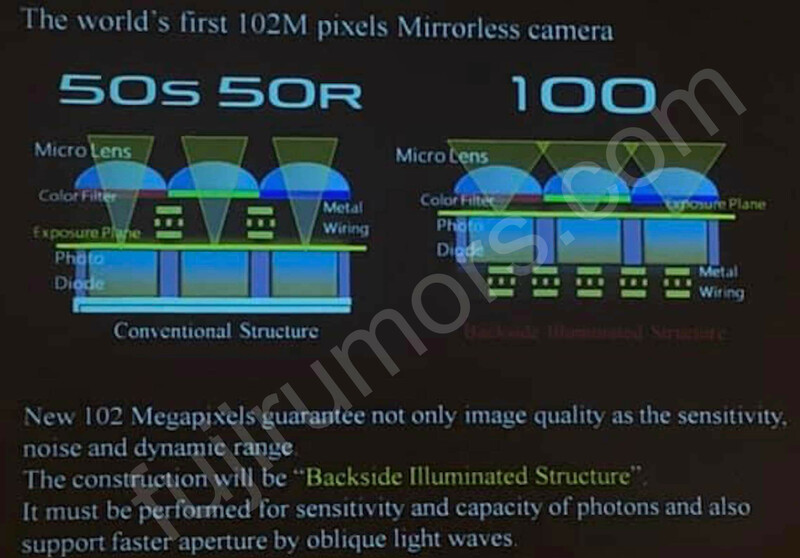 You can see them all here. 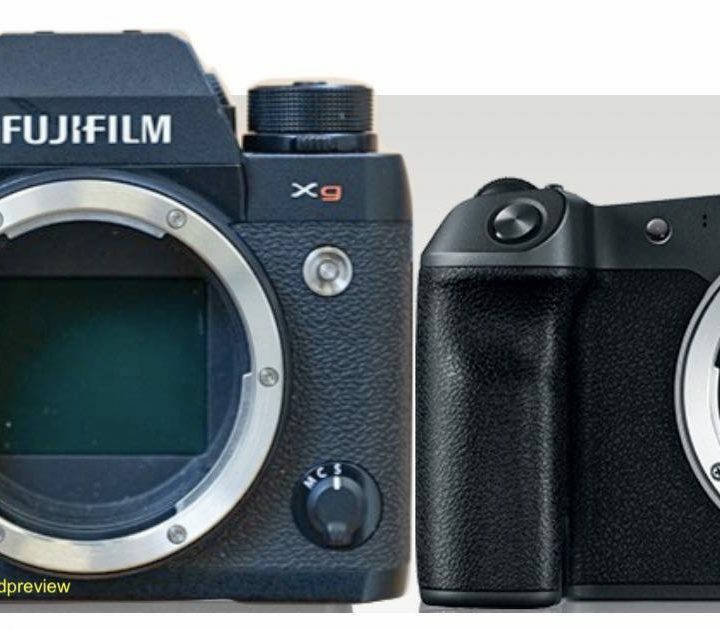 Amongst the others, there was the Fujifilm XG, an X-T styled Fujifilm GFX. 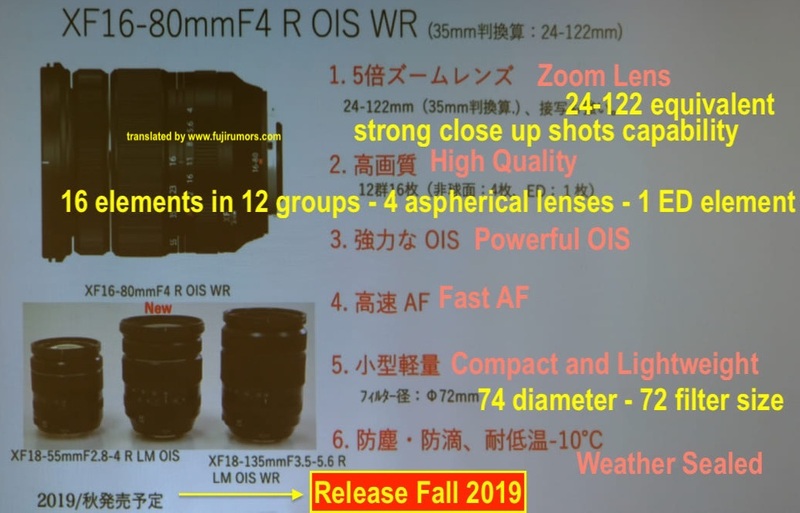 I was curious to compare its size to the one of current mirrorless full frame cameras, so I took the image shared by dpreivew, threw it into camerasize, and manually made accurate size comparison with the Panasonic S1R, Sony a7iii, Nikon Z7, Canon EOS R as well as the Fujifilm GFX 50R. 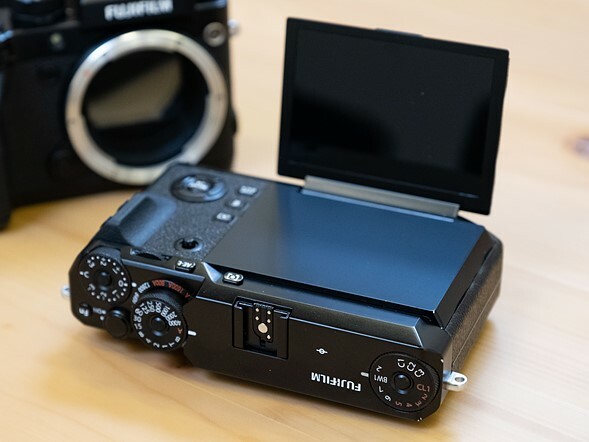 Fujifilm obviously designed all the early concepts keeping in mind that they have to accomodate a rather big shutter mechanism. 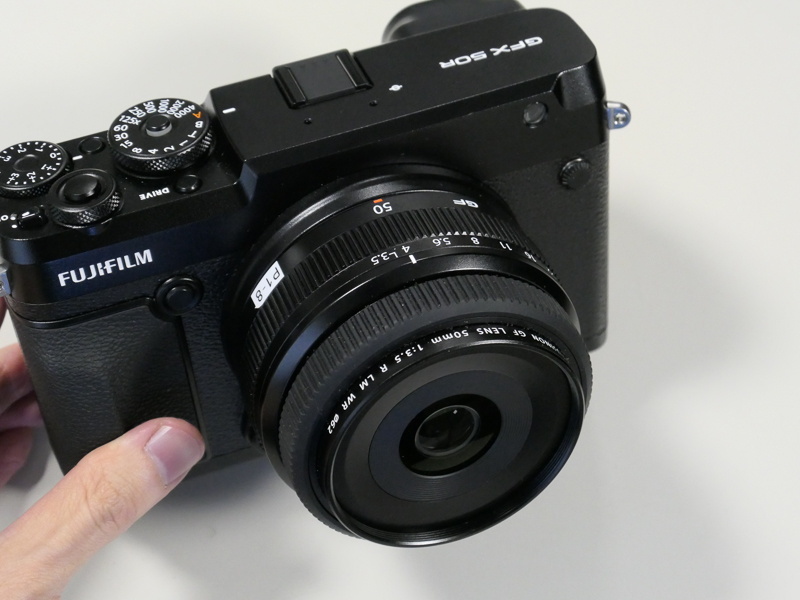 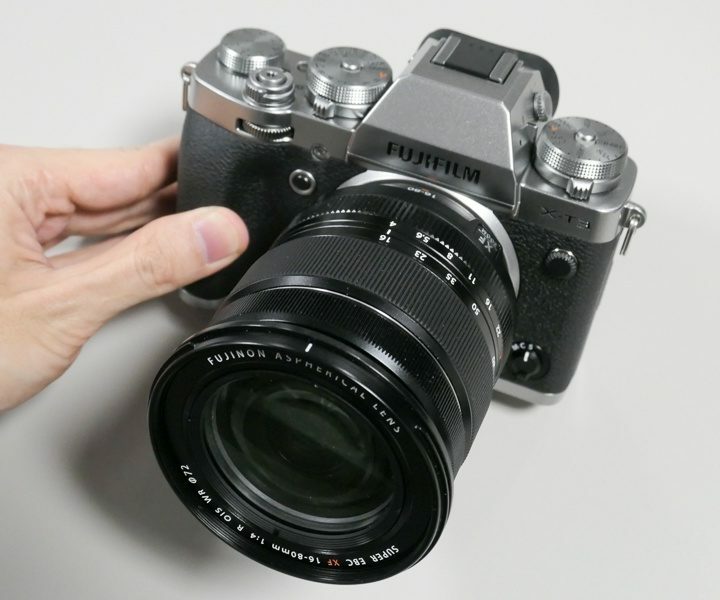 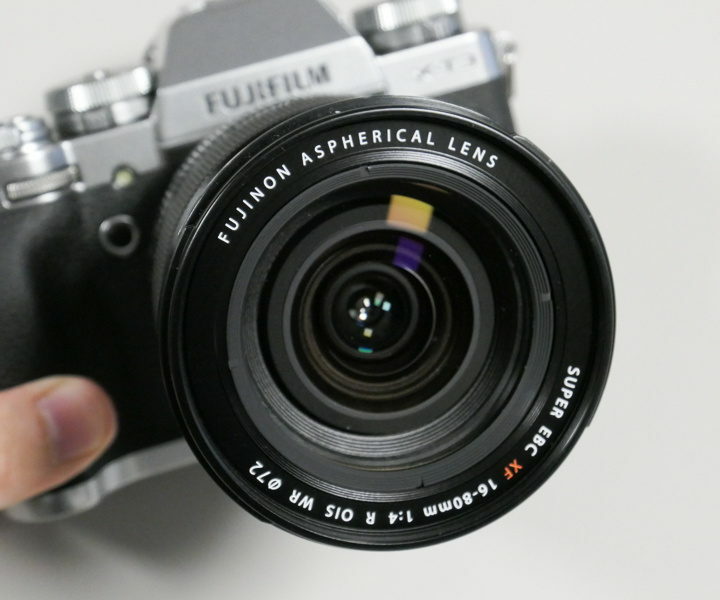 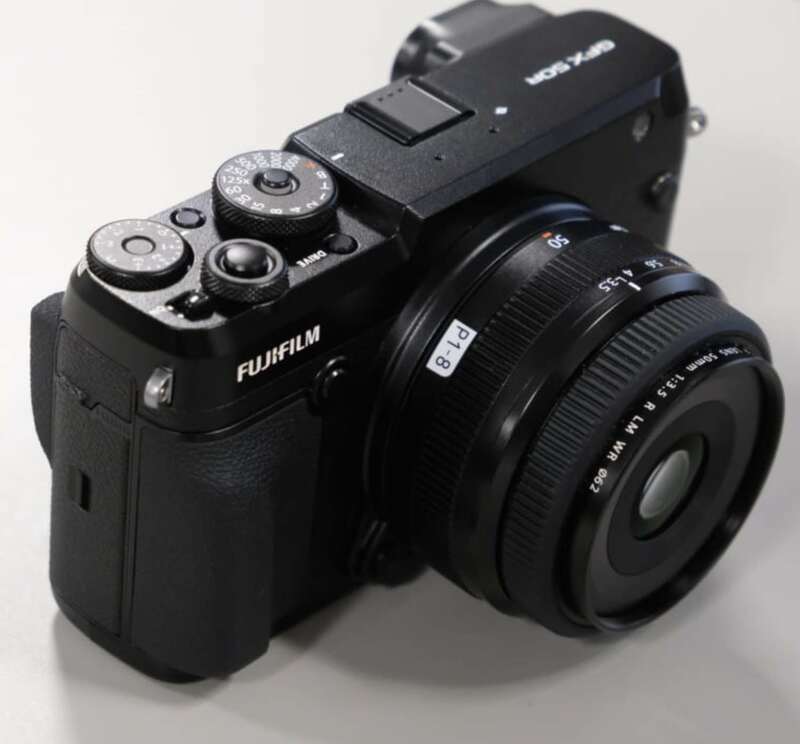 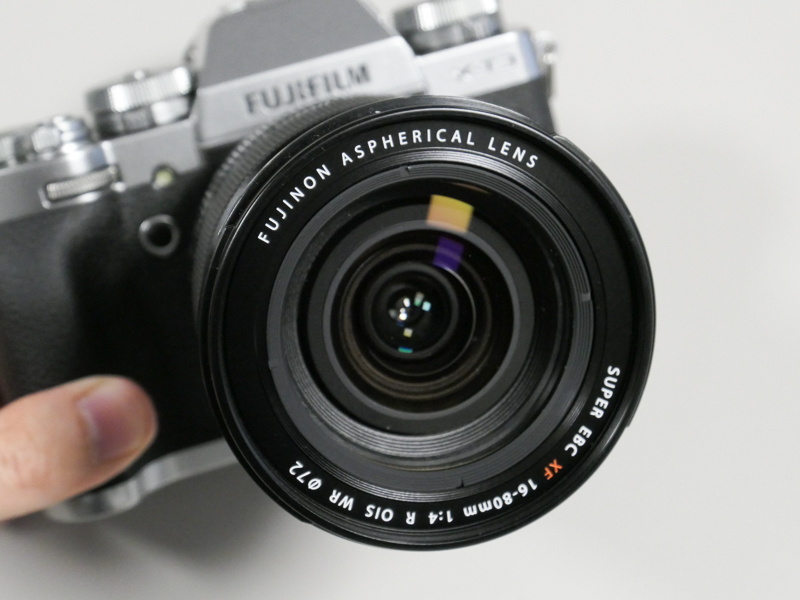 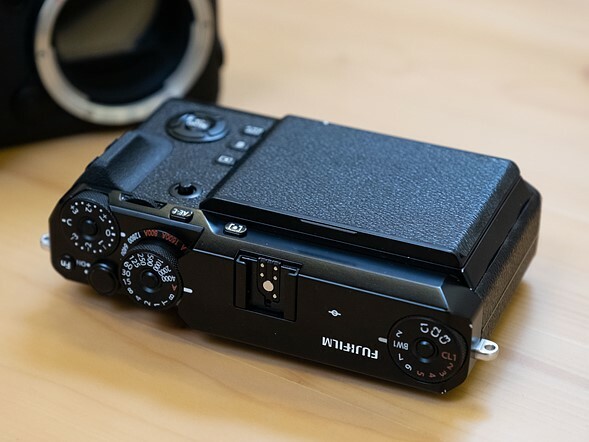 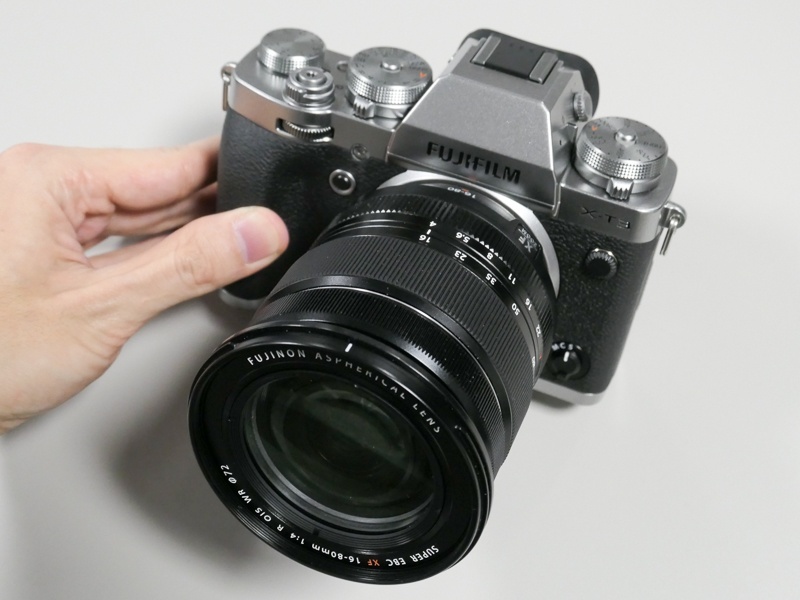 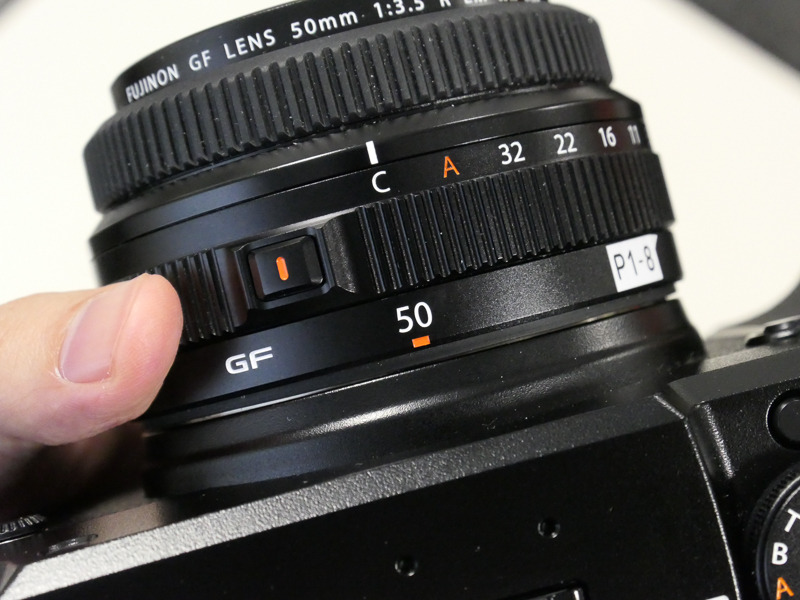 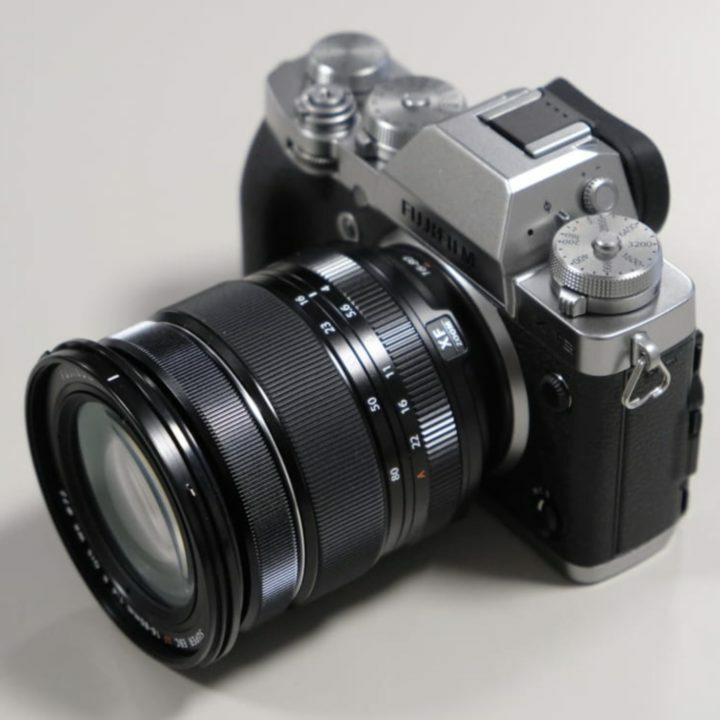 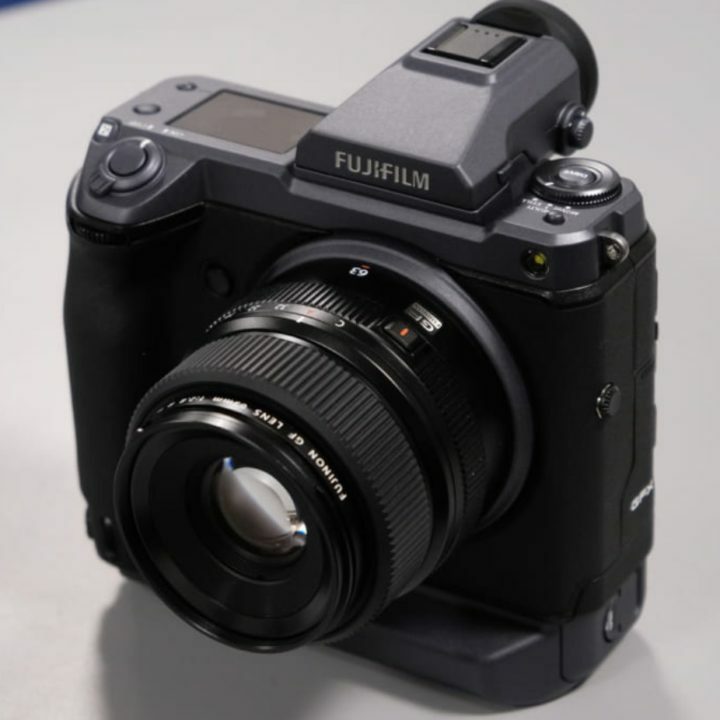 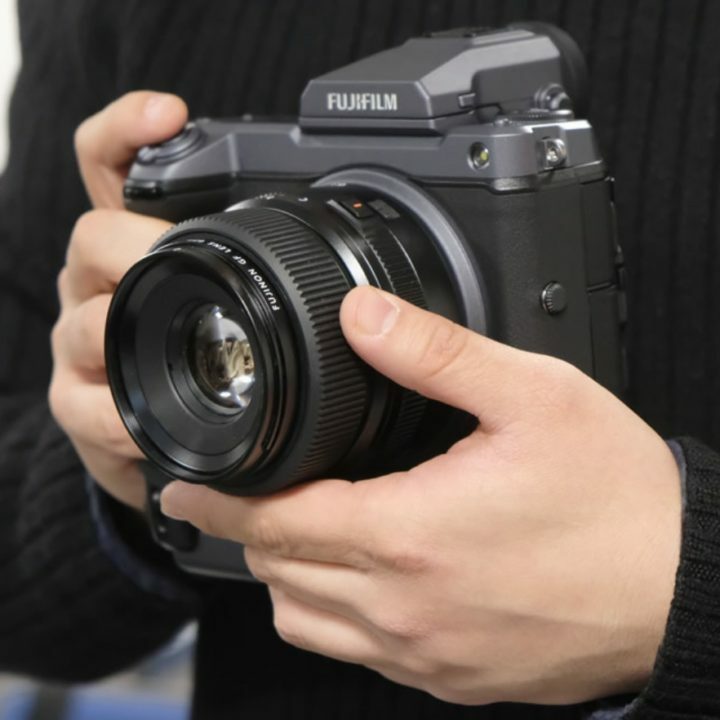 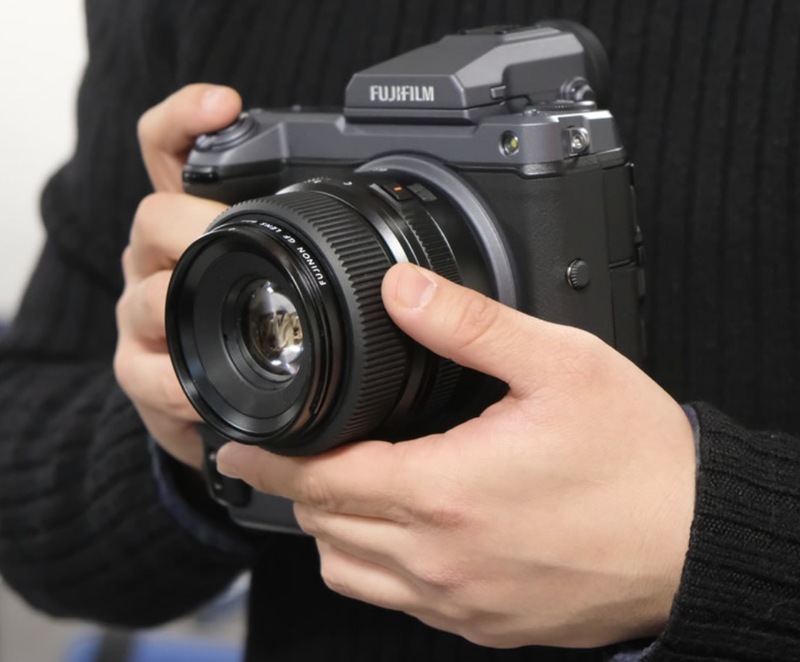 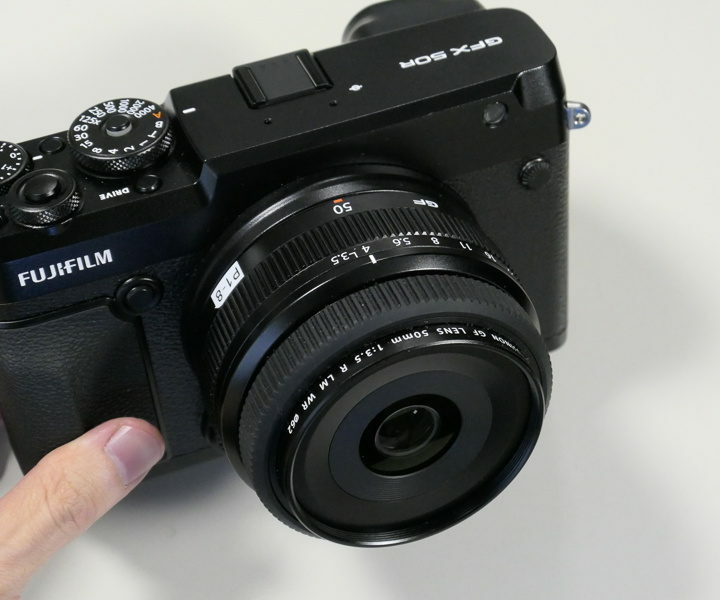 The arrival of the global shutter should allow Fujifilm to make the camera sensibly smaller. 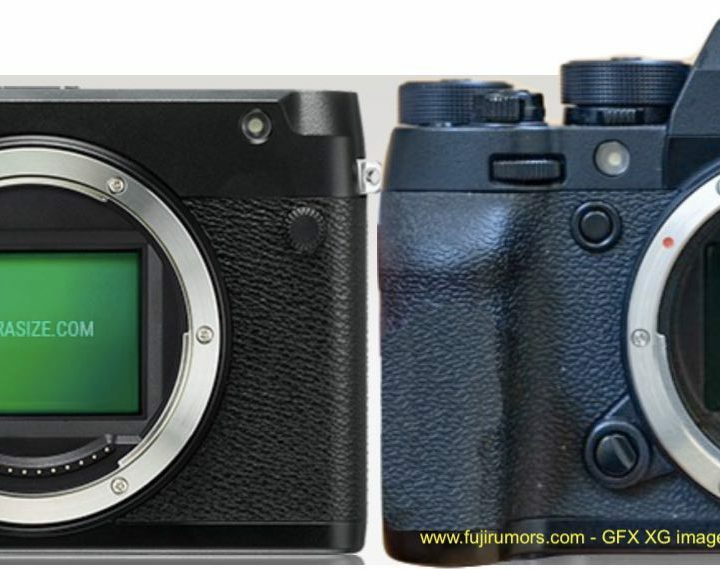 Fujifilm GFX Early Concept Mockups Image Gallery – Current Concepts, Future Reality? 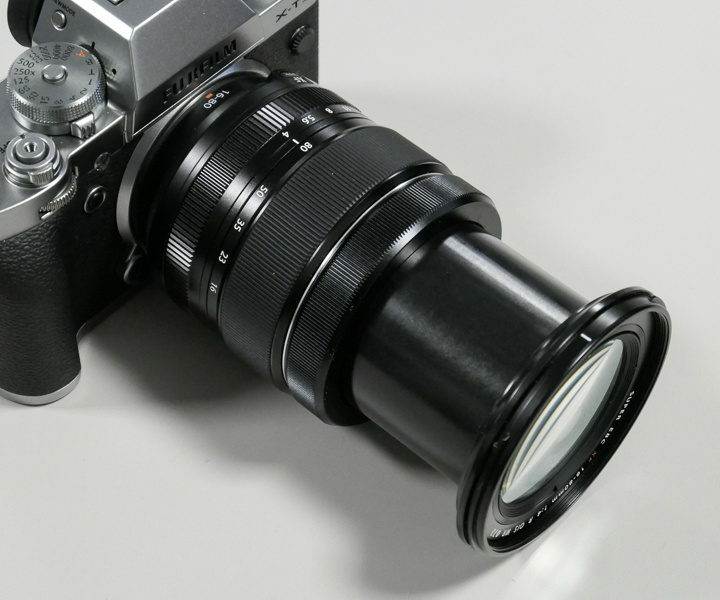 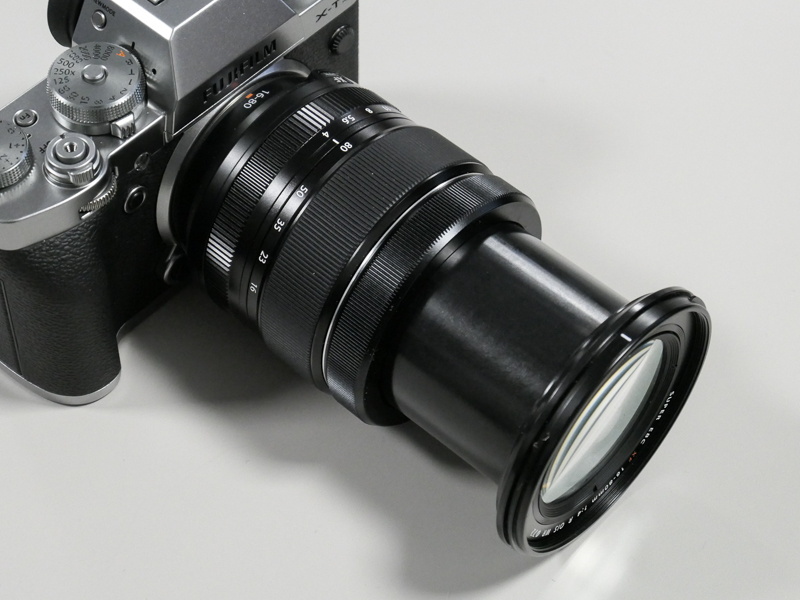 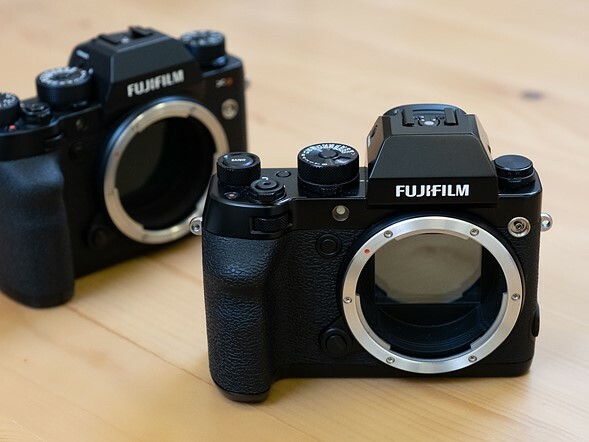 At the recent Fujifilm X summit, Fujifilm displayed a modular Fujifilm GFX “Omega” concept, inspired by Hasselblad’s 500-series square format film cameras. 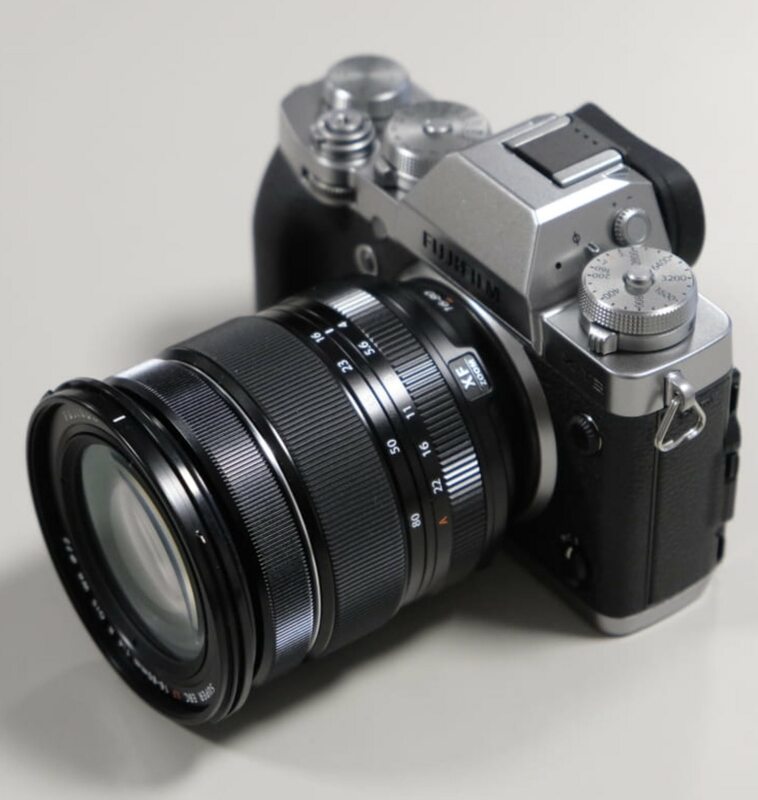 The Omega concept had “direct control for aspect ratio and unusual ‘roller’ style controls“. 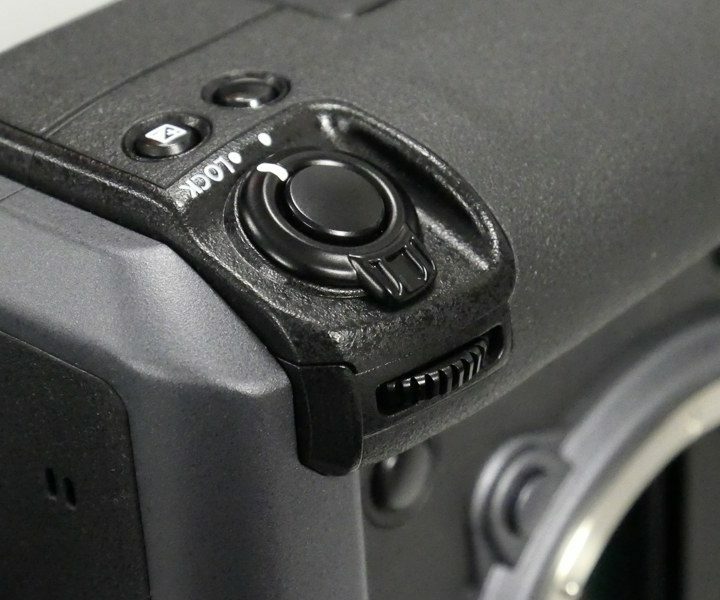 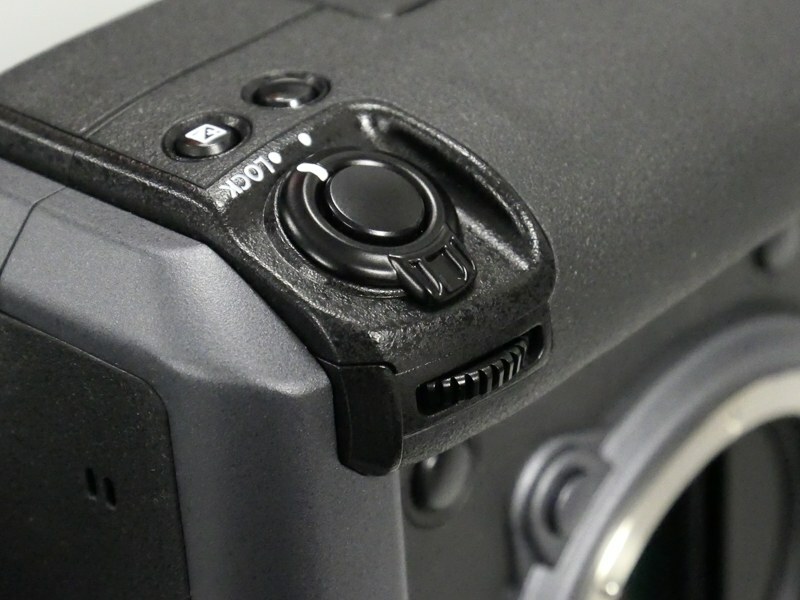 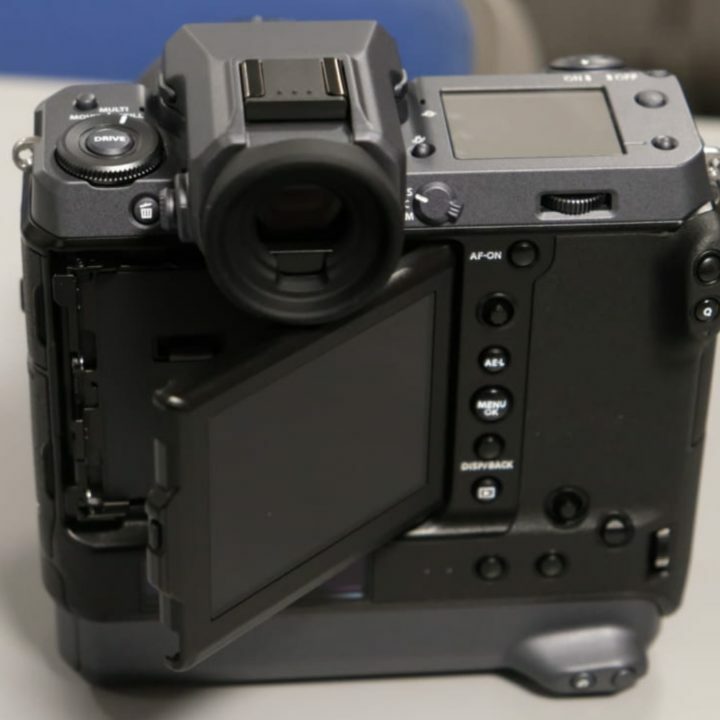 It never became reality because of the big shutter mechanism required for the medium format sensor, a problem that could be solved with the global shutter. 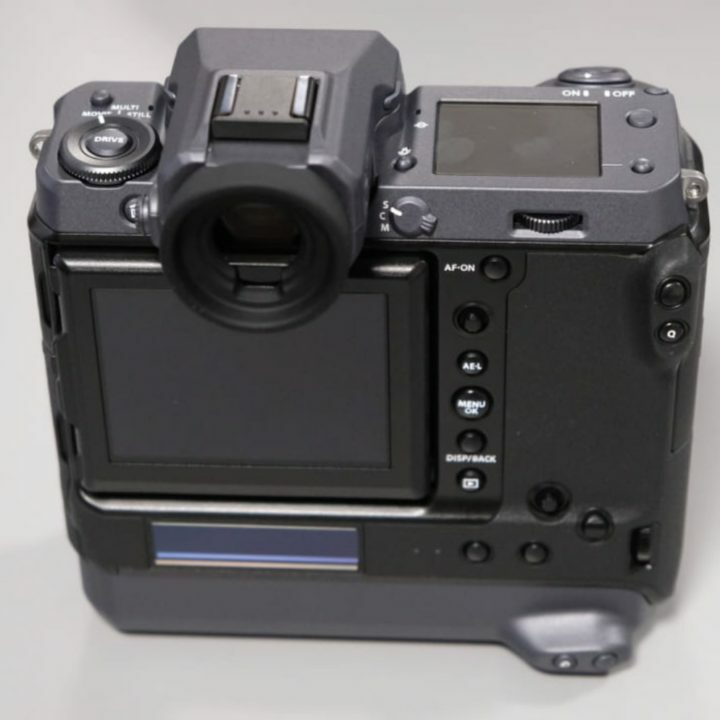 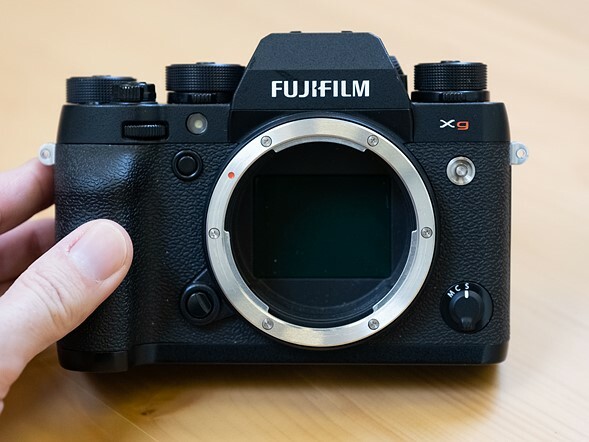 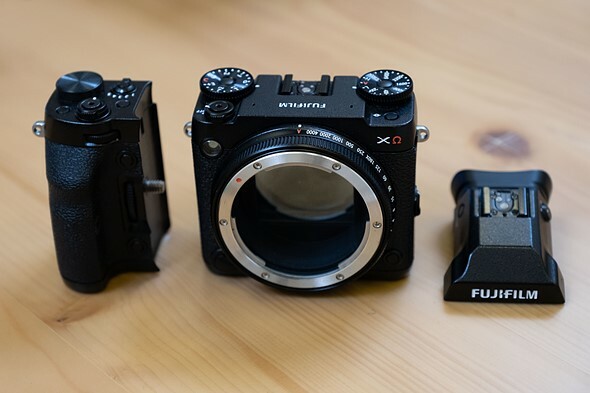 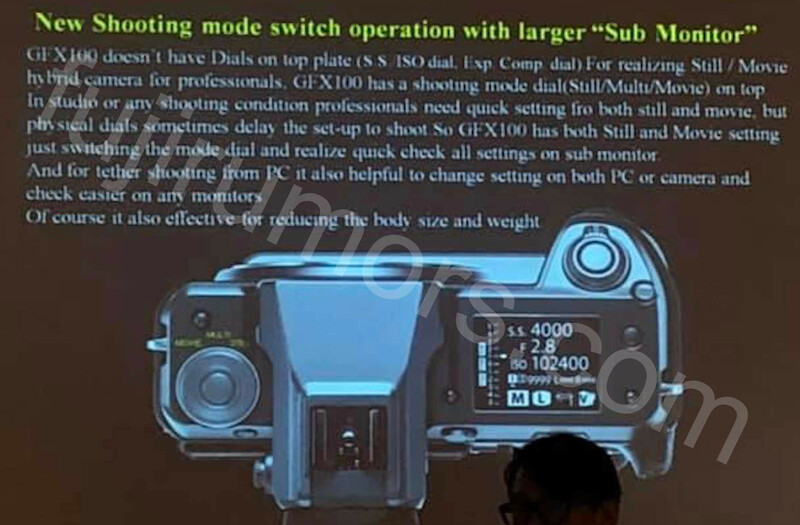 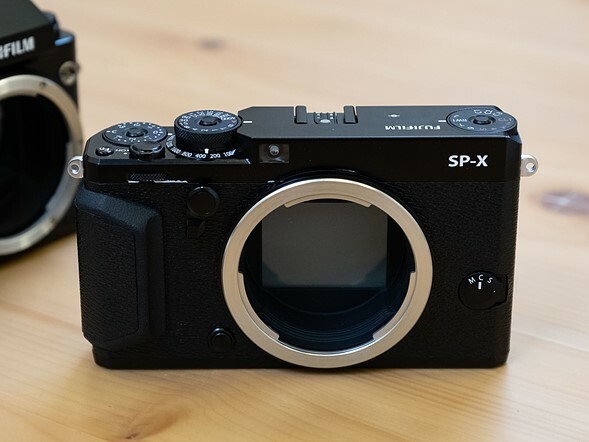 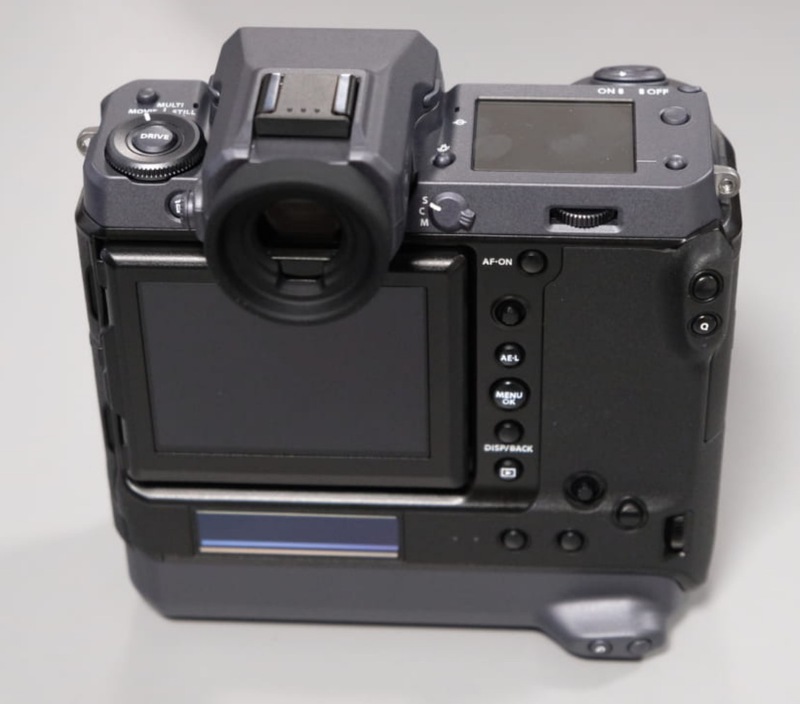 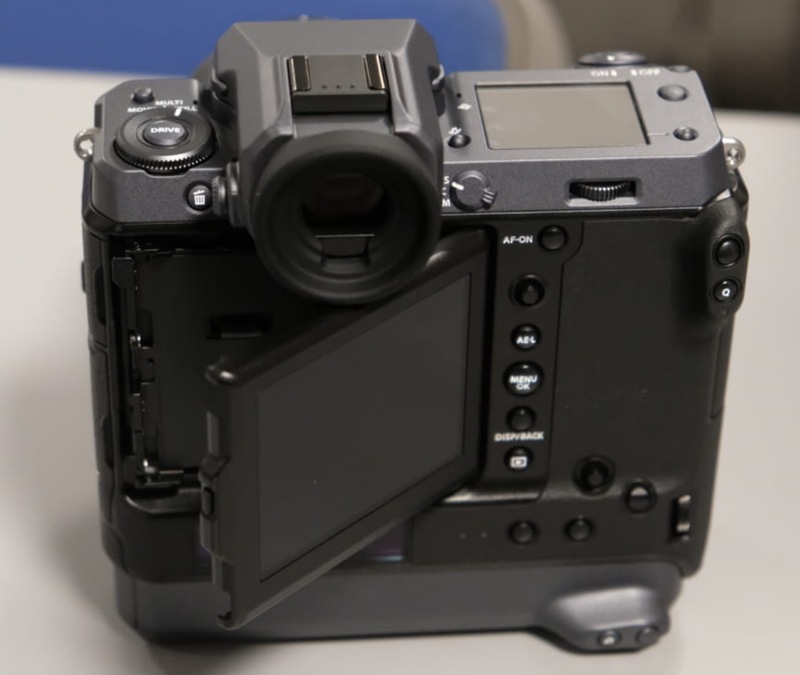 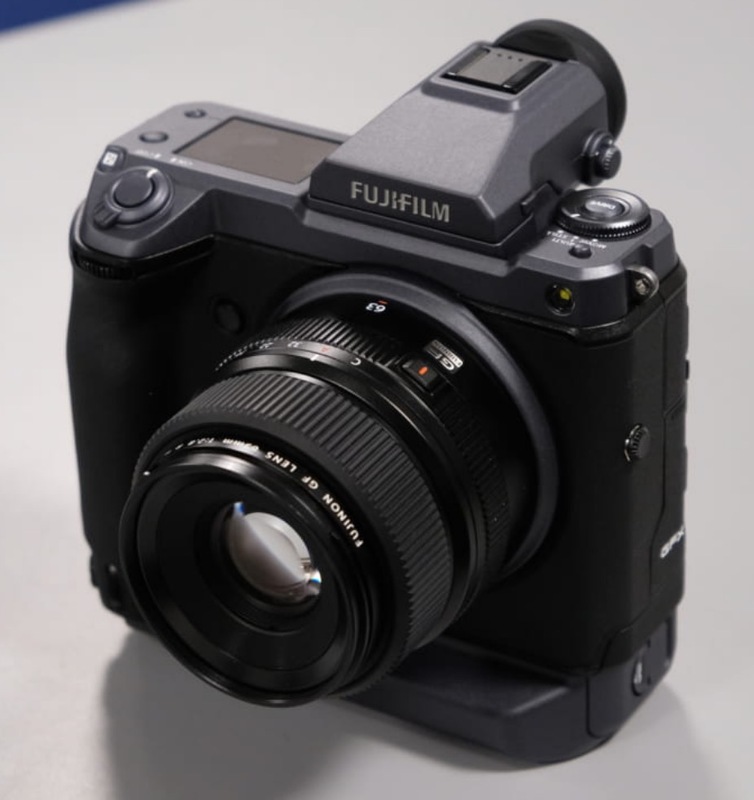 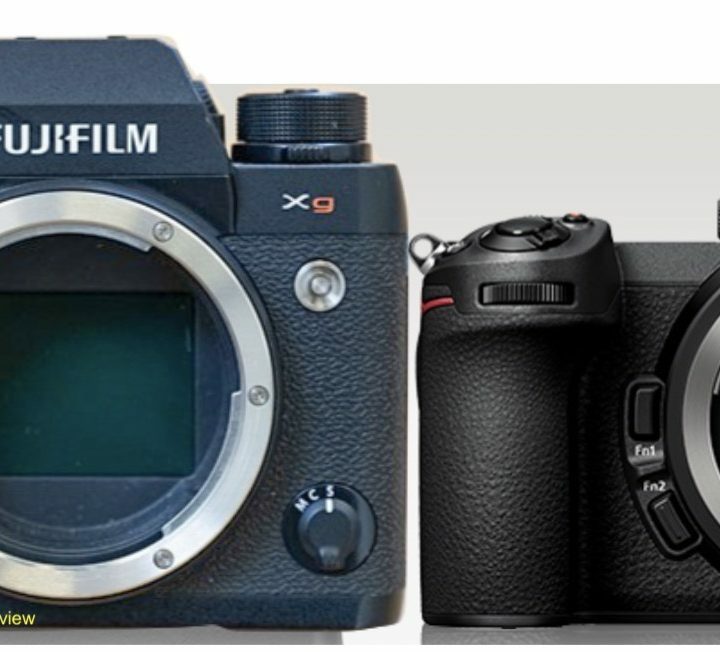 Fujifilm displayed even more early Fujifilm GFX concepts at the X summit, such as two X-T camera alike concept and also the progenitor of the current Fujifilm GFX 50R, called Fujifilm SP-X, with sub-ISO dial, a weird tilt LCD screen and no EVF. 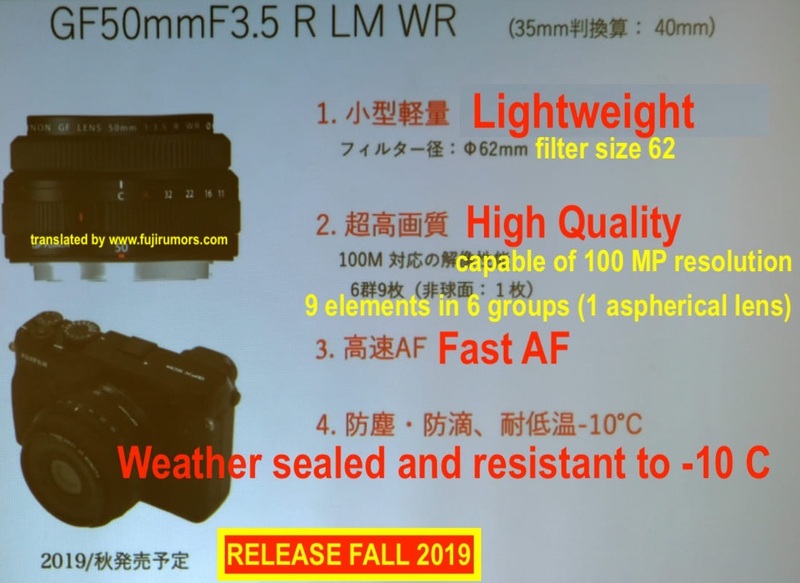 Fujifilm’s goal is to create a medium format camera close in size to current mirrorless full frame cameras. 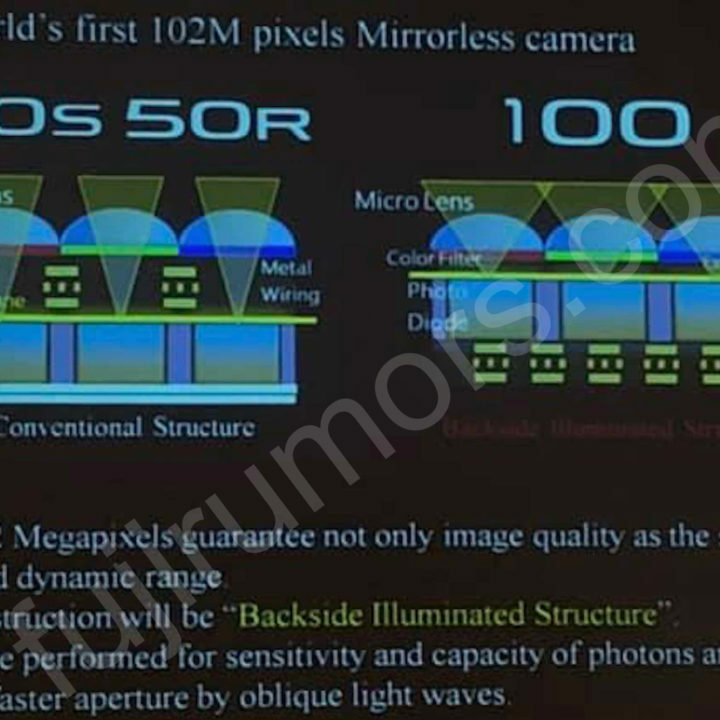 Future technology like the global shutter will help to achieve this goal. 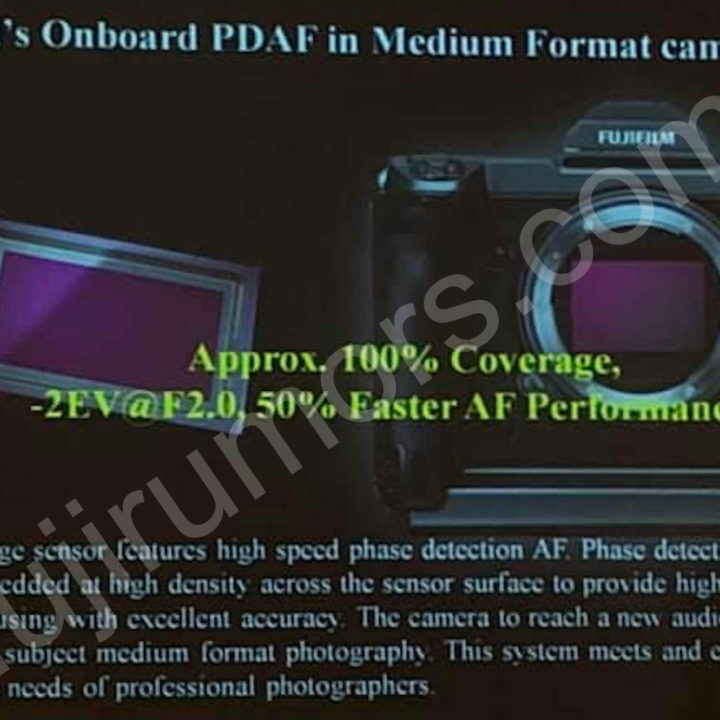 So the mockups we see today, are Fujifilm’s goal for tomorrow. 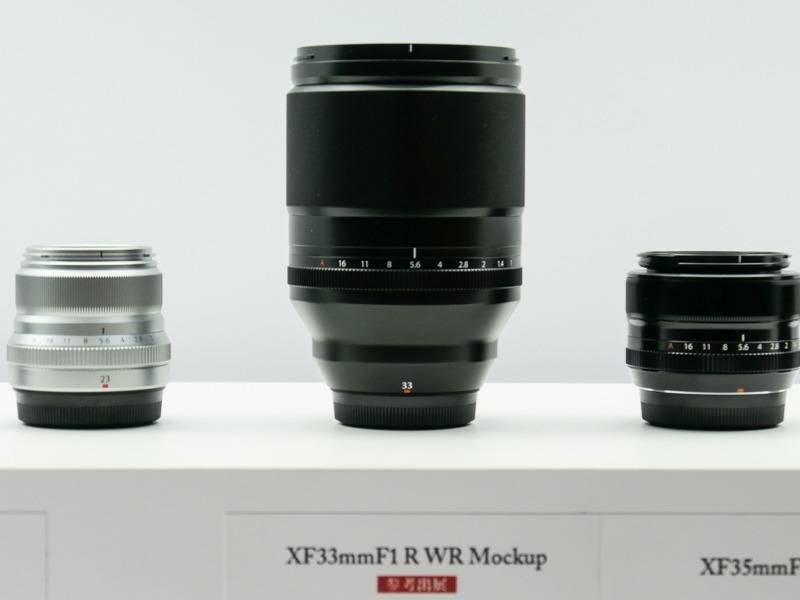 You can find the full GFX concept gallery at dpreview.